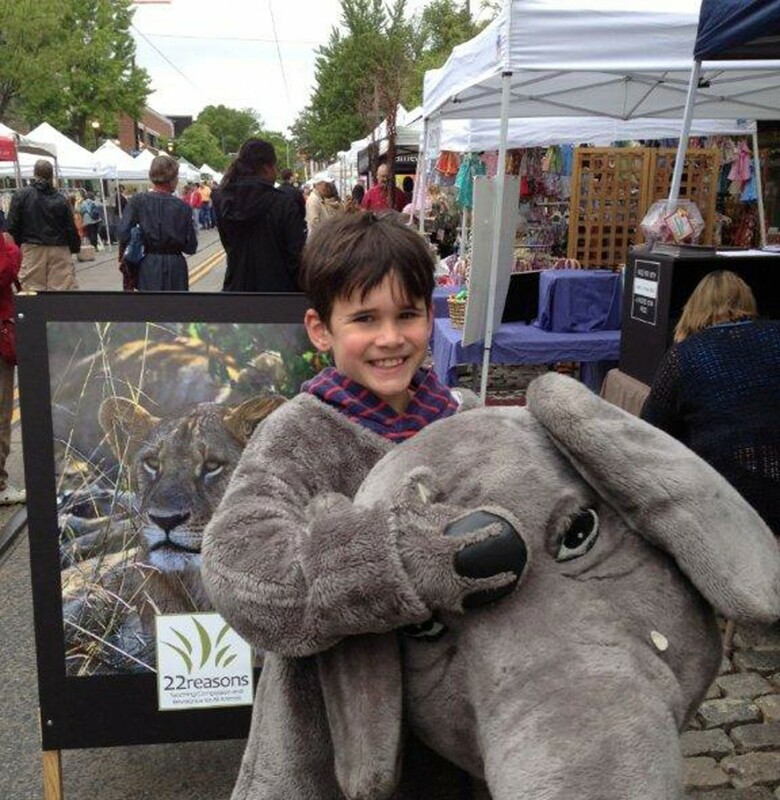 Break the Chain volunteer district organizers Marianne Bessey and Gigi Glendinning, spent a fulfilling day speaking up for circus animals at the Chestnut Hill Home & Garden Festival in Philadelphia last weekend. 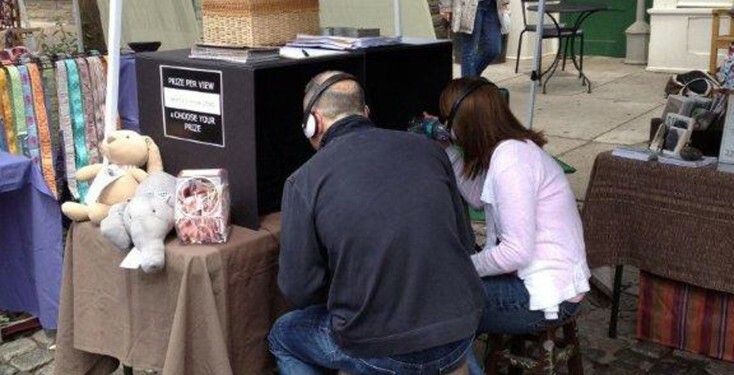 More than 20,000 people attended the event and many stopped by the table of Marianne & Gigi’s grassroots group,22reasons, where they got to see and feel a real bullhook and learn about how they can make a difference in the lives of suffering circus animals. Thanks to a three minute video provided by Animal Defenders International, festival-goers were educated about the routine violence documented in undercover investigations behind-the-scenes in traveling circuses. Conversations about compassion and reverence for animals took place all day, with all ages, and everyone was encouraged to call their Representative in Congress to ask for their support of the Traveling Exotic Animal Protection Act (H.R. 3359) which aims to restrict the use of wild animals in traveling circuses in the US and break the chain of circus abuse! Set up a table at festivals, fairs, or street markets in your community this summer, or simply attend those events and pass out leaflets to passers-by. Contact ADIto let us know your ideas, and we can provide materials such as DVDs, leaflets and posters. Host a ‘TEAPA’ party! Invite friends over and use the opportunity to tell them about the Traveling Exotic Animal Protection Act. Click here for a list of important talking points and facts to mention and Contact our office for a video, materials and ideas. Donate to ADI! We need funds to continue undercover investigations of circus abuse and grow our body of evidence to support the Traveling Exotic Animal Protection Act. Click here to make a secure, tax-deductible on-line donation.